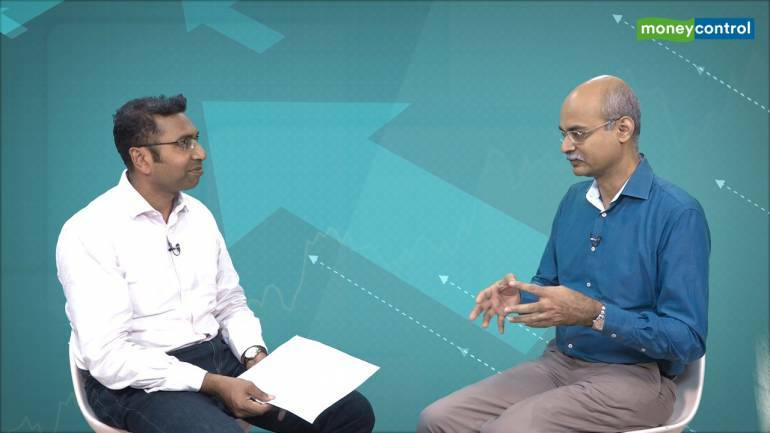 In this episode of Coffee Can Investing, Saurabh Mukherjea talks to Kenneth Andrade, Founder and Chief Investment Officer of Old Bridge Capital about his journey in the financial markets and his investment style. In this episode of Coffee Can Investing series, Kenneth Andrade, Founder and Chief Investment Officer of Old Bridge Capital takes Saurabh Mukherjea through his journey in the financial markets and his investment style. Ken welcome to the show and it's great to have you here. Q: Five years ago we had a discussion, we were looking at your career and in that fascinating chat, two things stood out for me. The first of which was that you began in journalism and then moved into broking through 90s, and then ended up becoming a fund manager. The 90s must have been an exciting decade to be working in India. Can you talk us through how those tumultuous times had a bearing on your career, shaped your thinking as a fund manager? A: Right through my college days’, IPO (initial public offering) investing was quite popular in college and that’s what essentially drew me into the entire cycle. There was no such thing as equity research in the 90s -- it was even smaller than the cottage industry. The only logical format that was there to communicate with the markets was journalism or publications that associated themselves with the capital market. And into the 90s we had this large bubble that got created across equity markets globally. Q: This is the late 90s? A: It was the early 90s. We all got very interested in how volatility played its part and in the IPO market there was flurry of activity – new businesses, new companies, new promotors, new entrepreneurs and that's where the exposure started. Q: How did the transition happen for you from journalism to the financial services industry? How did you make that jump? A: A lot of us did that. The only way for the first round of equity analysts to come into mainstream was to pick up guys from the publication side. It was but natural that publications actually put the entire team together who understood some part of the industry dynamics, some part of valuation metrics. Q: I remember this was the sort of era where we used to have an IPO a day from what I have been told. So must have been lots to write about and lots to analyze. A: From 1985 to 1990 were like the best years for the IPO market. Q: The other standout facet of the discussion that you and I had five years ago was your explaining your investment style to me. I have to confess nobody had till that point explained such a unique style of investing. You told me then that your job was to spot bubbles before they were formed and in effect your job was to time the business cycle in specific sectors. Now in an era at a time when the Warren Buffet style of investing, which is to spot great companies and sit on them forever is the sort of norm, how did you come up with such a unique style of investing and such a unique style of thinking about investing? A: Well. It's not very different from the way you put it together because what Buffett actually did was he tried to spot a great company. Great companies are usually made in a down cycle and if you are there in a down cycle you will be able to spot a myriad of opportunities that are there with these entire businesses. Q: The challenge I have always found is, in a down cycle for an industry, when a sector is in its trough, return ratio looks wretched. Earnings per share (EPS) growth looks poor and at that juncture typically it's very difficult for an investor to sort of say well this sector will turn around and I should be allocating significant amounts of money to the sector. How do you make that call that when a sector is troughing out, how do you figure that out? A: You don't wait for a sector to trough out. So what normally happens in a business down cycle is two companies in the segment of the market make all the money, the rest lose it. At the top of the cycle everybody in the cycle makes money. So if you look at capital cycles and how they play out capital is attracted to faster growing businesses. And the faster growing businesses usually generate return on equity (ROE) of about 30 percent. There's an intermediate private equity firm or new entrepreneur coming in who is happy with a ROE of fifteen percent and there is the banking system who is happy with a return of eight to nine percent. There is a 99 percent probability that thirty percent comes to eight percent. And at the bottom of the capital cycle, the company that is the most efficient usually earns less than the cost of capital. Q: But does he manage to survive? A: He more than manages to survive because he doesn't have leverage. Q: So you look at the sector which you think is close to the trough or has bottomed out, and to identify the best capital allocator you look for the guy with the strongest balance sheet. Q: The other facet of your investing which I have seen over the years is when you buy a sector initially you seem to buy several stocks in the sector and then gradually you winnow it down. Can you just talk us through how you hit upon this unique format of investing? A: It's all about looking for great companies and looking for cheap valuations. Valuation metrics that we are most familiar is always price to earning multiple, it is always EV/EBITDA (enterprise value/operating profit). But at the bottom of the cycle there is no EBTIDA and there is no earnings. So at the bottom of the cycle, PEs (price to earnings multiples) look inflated. But if you look at the profit pool, the profit pool has have actually shrunk in the industry and it belongs to one company or two companies and those companies trade significantly below fair value. So it's all about looking for great company, at a great valuation. The definition of what valuation you look for has to be a little different. Q: A great company is one which even in tough times in the sector balance sheet is in good shape and it accounts for a big slice of the industry's profit pie, right? And therefore your approach over time is to concentrate your sector holding. A: Yes, so once you got confirmation of the same that this business is kind of cyclically bottomed out and it usually comes when the leader in the entire business is ready to acquire another format of the business or is expanding its footprint and acquiring new clients at a cost which is virtually negligible. Higher market share at lower capital employed which means higher sales at lower capital employed are the ratios that you look for. And when that starts to materialise then the rest of the industry actually follows. Q: This ability that you have of identifying themes, I’ve sort of long wondered as to how you figure out when a sector will turn. I have read British asset manager Marathon Asset Management’s work whose view is, look you shouldn't try to second guess demand in an industry, you should look at supply and their point is when supply has bottomed out is when you should broadly get into a sector. Challenge that I find is, how you figure out when supply has bottomed out, when capacity has bottomed out in the sector. How have you sort of addressed this issue? A: I think that's an easier framework to work with because you always have enough data coming in on supply side, especially if it is domestic capacities, especially when you're working in a country of the domicile. So, industries like cement, power, FMCGs, automotive etc. it's very easy to figure out where these supplies come from. The challenge that I usually have is trying to predict demand because demand is usually projected linearly based on the last couple of year’s growth and that can’t be quantified. So you can slip up on the amount of demand that can be generated over a two year or three year cycle or a 4 year cycle and I've seen analysts consistently doing that over the last decade. You’ve completely, completely missed their demand targets. But if you look at balance sheet constructs, you don't need to necessarily look at more capacity coming into the cycle. You need to look at a balance sheet constructs and the more the balance sheet construct expands in an industry, you know exactly where capacity is coming up. Q: But when it's more abstract themes that you've got into, whether it’s rural, sugar, electrodes, what has been your mental framework for identifying more themes generically beyond the supply demand issues? Q: Let me then come to the sector which dominates the Indian stock market. Nearly forty percent of our market cap is the banking and financial services sector and the overwhelming dominance within that is private sector banks and NBFCs. Given the proliferation of these sorts of companies there are now 120 housing finance companies in India alone, NBFCs number in the thousands, valuations in the sector are pretty rich for the private sector banks and for the premium NBFCs, it is a fragmented sector beyond, say HDFC Bank difficult to say that it is a leading player as such. How would you sort of look at this fact that the 38-40 percent of our market cap is in one sector which is trading at rich multiples and where it's difficult to say that there's a sort of supply bottle neck. What would your view on this on this piece be? A: I wouldn’t say it has been a strange cycle out there but you see more participants coming in and the conventional rules apply. You get a higher market capitalization, you get a higher price earning multiple and a low ROE which has already started happening in most of these cases and the beginning of what is to come is already displayed in all of this. What we try to extrapolate from all and that's what markets continue to do is saying that the demand is going to be bigger than what the supply is which pushes in more supply. If you look at the construct of all balance sheets put together, the entire balance sheets are skewing in themselves into this format all over again. So how long will this last? Year, two years three years. I don't think that's in my domain to actually try and find this. I definitely know what I'm not going to do. Because at the end of the day the parameters is which is a good company out here - we all know which one it is – is it at the right price. Nowhere close to its historic lows that we have seen at. And if those two parameters don't meet it, I am sure of the other 50 percent of the market or the other 60 percent of the market and there is enough choices for you to allocate capital to. Q: So one of the underlying themes of our discussion so far has been that when the price multiple or the price per se carries very little informational value. And in a way it’s the fundamental metrics, not even forward-looking fundamental metrics, the actual published balance sheet which seems to carry the most amount of value. Most investors in a way look at the other. My years in broking has taught me the PE multiple is the brokers tend to memorize. A: I just think that one ratio that we talked about, when you look at the price earning multiple; the only construct is the denominator. The function of the numerator is the amount of surplus liquidity that's coming into it. And if it's coming to existing company, then the existing stock is going to existing capacity. Q: Therefore you are saying that by looking at that multiple in a way we are looking at money flowing into the sector rather than anything. A: Yes, so you are looking at my money coming into the numerator whichever the function is and denominator getting poorer quality. Q: Now if I were to sort of now take the other element of investing which is selling, throughout my life I've seen that the most great fund managers struggle with the selling part. They find the buying piece reasonably easy partly because there is so much thinking and literature around it but when exactly to sell a company that's made a lot of money for you is traditionally a challenge. How have you grappled with that? A: I still think we're better on one end of the spectrum which is getting which company to allocate capital to. On the selling side there have been few instances and staying out of a business is as good as selling a business and that's essentially what we try to do. So, we might have gotten the last two years or three years or maybe a longer term period, as far as some of the these name in the financial services. But I think on the corporate lending side we were very early into the cycle maybe 2011-12 where we got it completely right and we completely stayed out of those names. The largest private sector corporate bank in India has not made money since year 2007. Q: One of the things I sort of infer from your style of investing is perhaps often the best signal would be that brokers are calling you up with bids for some of your stocks and when the bids are getting increasingly aggressive for stocks that you're holding perhaps you can use that as a sell signal that the market itself is bidding up your holdings. A: In most cases we are early sellers. So, you buy early, you sell early. So, there's an inflection point over certain multiple which doesn't make sense, because at the end of the day the earnings yield has to have a comparative and when the earnings yields have to have a comparative your best indicator is where the bond yields actually trade or where the rest of the market actually trades and if it moves higher then you are very - I wouldn’t say tempted to sell – but logically you have to part ways with your investment. And that's essentially why you tend to sell early because some of the some of the stocks or some of the cyclical that have expanded themselves have gone one up significantly after that is something that you have no control on. Q: You prefer to be an early buyer, an early seller, there is a great deal of contrarian-ness involved with your style of investing and surely it takes a lot of moral courage to be an early buyer, an early seller. You are looking at regret; you are looking at sort of stress levels rising if your early buying isn't working out. How have you dealt with these sorts of emotions over the years, are there investors, friends, people, books etc. that have helped you in this journey? A: I think the character, how the portfolio gives you flexibility to construct. So, you don't have a portfolio which is dominated by just one sector and that's where diversification actually plays a part. So, we try to put together two, three or four parts of the entire economy that are going through these cycles and when you've been able to establish these cycles and when they are mainstream hopefully one of them plays out disproportionately during one particular year. Of course, you do hit minefields at points in time. You are early into the cycle at periods of times, you are midway through the cycle at periods of times, when you see no more supply coming in but demand continues to grow. So, you tend to participate. I would be wrong to say that yes everything after portfolio is constructed with everything being at the bottom end of its entire cycle. You have got a lot of businesses that come midway. But one thing we try to be very consistent is that if we don't like something which doesn't give you a valuation comfort, the fragmentation of the business is very visible we stay out of it. Q: So far we have discussed the Indian stock market as this is the perfect supply demand equilibrium, it is a free market with supply and demand being the dominant forces. But as all of us know regulation and government interference plays a big role in several sectors in our country obviously. Power, infrastructure, telecom, increasingly pharma and so on and so forth and regulatory moves government regulatory changes have a bearing on cost structures, have a bearing on the supply coming into the sector. How do you deal with that given that your investment framework does involve looking at flows of capital, flows of supply and demand? A: See we are in a capitalist society. All said and done business remains in existence if there is a capital or there is profits to be made on the table. And if the regulator or the government or someone else has got a disproportionate amount, then business will cease to exist. I have invested in sugar for the third time in the cycle since 1999 to 2018. This is the third round into that entire cycle. And the bottom of the cycle is represented by one company making all the profit of the entire industry. The rest of the industry makes is completely loss making. And that's a business which is completely regulated from day one and continues to be. Regulation is heightened when profitability is disproportionate in the industry which also gives you enough of sell signals in this cycle. We have done trades in a business of fertilizers which is also very dominated by the government. But for the last 20 years because of this regulation we have no new capacity and India continues to be a net importer of the product. So how does the government fit its entire agenda into a sector which is also over-regulated? Commercial terms and then government understands it because they have to balance their finances after a point in time. So government also creates the cycles by themselves and you are just an investor, you are just a passerby. The good thing about our business is we can choose to be there or we choose not to be there. Q: Just too sort of let me summarize this if I understand this correctly. If government regulations squeeze profitability in a sector, takes capacity out and the entire sector’s profitability get centered on one guy. That to your mind ends up being a buy signal. Other investors will be running away saying it's all over, to your mind when the whole sector gets decimated barring one player, you enter and you wait for the government to then pull back, relax regulations and for profitability to then take off. A: It is a continuous cycle. Q: I am sure that the investors who are listening and who have got investments in the telecom sector would be listening to this very closely. You were nicely ensconced in IDFC Mutual Fund as the CIO.IDFC Premier was a fund several of us wanted to invest and you would open the fund intermittently to allow us to invest. It was almost the perfect setup. You were in a mutual fund yet you were controlling your flows and not letting hot money come in and out at the discretion of investors. Why did you forsake all of that for an entrepreneurial venture for Old Bridge? What led you to take this plunge? A: At heart we are all money managers and we like to do what we do and there's no joy of doing it with too many strings attached. When you are in the institutional framework there are reasonable amount of pressures to be in line with the benchmarks, in line with indices in terms of building your portfolio. You step out and hopefully your investors understand your style of investing over a period of time. You don't want too much of money out there because our business is all about mark to market. Get a pool of capital, wait for a cycle to emerge, get your stock picking right you get your AUMs as the markets itself expand. So we're in a business where you have to get a predominant amount of market share from the amount of money that's made in the cycle. And probably that's one of the reasons I had to, I side stepped an institutional format to put together Old Bridge in the form that it is. Q: You have already bought it to Rs 3,500-4,000 crores in a year. Where do you see Old Bridge going over the next five-six years. My reckoning is flow of financial savings in India will burgeon over the next decade. So, you know we are saving around $20-25 billion dollars a year in equity AUM at the moment but here decade out we could be doing 10x that amount. So, the context of a burgeoning equity pool in our country where do you see Old Bridge going over the next decade? A: So, I can say one thing about all of this is. I do not want to project the demand because that's not my competence or my forte. I have got a limited amount of bandwidth that is there and I would like to optimize that bandwidth and do what I do best. I don't think my style of investing is mass market. So I'm not trying to create a mass market product out here. So as long as the market allows me to exist in a style that I'm very comfortable in investing, I will stay remain status quo. Q: And you will carry on following this philosophy of not allowing money to come in when valuations egregious and then taking money when you believe there are opportunities. It's a very unique style a few people in India I've seen have done that. A: Yes. So, hopefully we will be able to replicate what we've done. We have had a very good start since we've started off the platform. We've had a very good year in 2017. It's a very hard year to replicate all over again. I mean the markets were good and you topped it up with a couple of with cycles of companies that did extremely well during that period of time. It is going to be something very hard to replicate but if we can maximize those cycles it'll create a lot more underlying wealth for the investors that are there in the portfolio. Q: So, for someone like you who's basically been investing hands on for the best part of twenty years now for newer investors such as myself the temptation is to say well I'll spend five six years learning the trade and then after that I'll be sort of done. But someone like you who clearly enhanced your skillset as the years have gone on how do you do that? Is it a conscious effort or does the markets teach you new tricks as the market evolve? A: It teaches you to just stop making the mistakes. Q: I haven’t seen you make that many mistakes. I hope it comes to me with age as well. But on a more serious note any specific influences, books or gurus that you have looked up to, you have learned a lot from, unusual thinkers who you benefited from, whether in the field of investing or elsewhere? A: Before you started this you did highlight a Book by Marathon Capital - Capital Cycles. I just picked it up last year and went through it all. And I just realized that there’s a lot of similarity between the way I have put portfolios together historically with the way they have put portfolios together. And today they are close to over $50 billion in total assets. Q: If my memory serves me right, I think it's called Capital Returns by Marathon Asset Management and they uniquely write one book a decade. So, this is the second that came in twenty years and it’s well worth a read. I also learned a lot. Finally, in a slightly different subject you know someone with your skill set and with the reputation that you built in your previous job in your current avatar in OldBridge. You could choose to live pretty much in any country you wished, you could invest in many different markets but I find it fascinating that you choose to invest in India, you choose to live here and you obviously made a great deal of success out of it but what leads you to say that I will carry on living in the hustle and bustle of the Mumbai rather than say in the more pristine environs of Singapore or London. A: I have been brought up in Bombay, I've lived here all my life. I don't think I'd be migrating to another city at this period of time. It won't come naturally. I'm used to the chaos and its home. So which is the reason I chose to be there where I am currently. Saurabh: Not just me, but several people watching this interview will be glad that you are in India, you are in Mumbai. Thank you very much for your time Kenneth and that's it from us, thank you.